Earlier this year in February we had an important meeting. It was a typical business meeting. It was fine. There were no issues or problems. No one made a protest or charged the pulpit. One thing that did happen is that our vision for the future was clearly shared. I reminded us that our vision is to see EBC become a church of ministry teams—one team per ministry. I define a ministry team as a group of believers in Jesus who are like-minded, unified in purpose, mission, and vision and are advancing! As I reminded us of the vision I challenged each one of us to examine our own lives and walks with God and be willing to take the next step! Last post I shared step one! Who is EBC about? We are to be about Jesus and His great Gospel! We are to be about making Jesus Christ our Lord and Savior glorious in all we say and do! This means as we gather and worship and serve we communicate our love and appreciation for who Jesus is and what he has done for us. And when that happens He is pleased and His presence is known! He appears! He manifests Himself to us in His power and glory! Souls are saved and saints grow in Him! Step 2: Be active in Mission! What is EBC supposed to be doing? Paul told the church in Philippians 1:27 that as we gather to worship Jesus we are to Strive together for the faith of the Gospel! To strive together means that we work hard at the same time with one another to accomplish His work! What’s that work? The work of the ministry is the faith of the Gospel! It’s everything that’s involved in helping more people know Jesus and make Him known! It means that we with a like mind and single focus believe the Gospel, live the Gospel, and then share the Gospel with others. We need to take an honest look and ask, “What are we doing to help more people hear the Gospel and come to Christ in our community?” God wants us to come together as a team and put forth hard effort to help more people know Jesus as their Savior and grow and mature in Him! Step 3: Get in the game! As I preached the word and reminded us of our vision of striving together for the faith of the Gospel I left us with one final step! I asked us this question, “What will be your next step to help us fulfill our purpose, mission, and vision?” To all those who call EBC their church home, their faith family, the place where they worship Jesus, what is your next step? Maybe it’s to attend the worship services more regularly, receive Jesus as Savior, get baptized, or maybe even become a member of our church family. Whatever your next step is be sure to take that step in faith. And why not let me know or a church leader know about your next step. If you have any questions I would love to talk with you and pray with you about your next step! 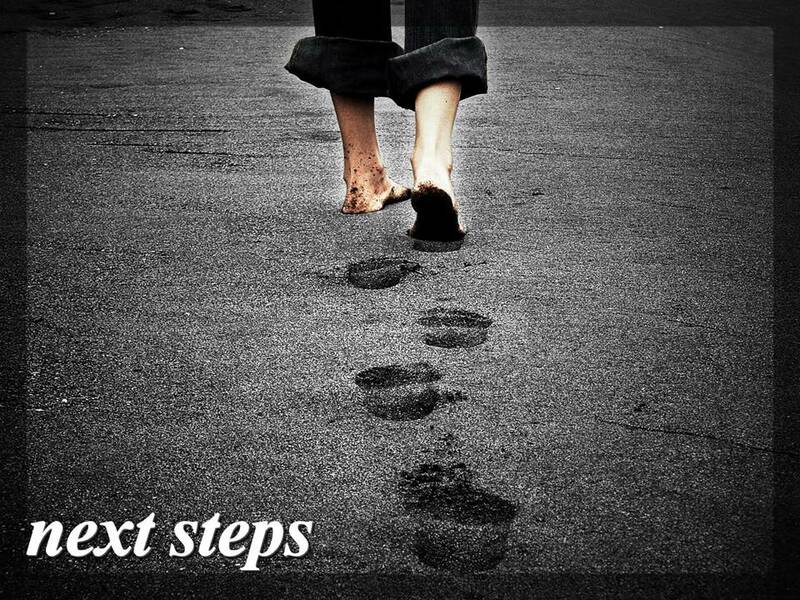 As we grow closer to Jesus and His Word He will show us the “next steps” to take. Ready to take your next step at EBC? Why not leave a comment and share how God has led you or is leading you to take your next step. Not the Same ole same ole! It’s been said, “If you do the same thing you have always done and expect a different or better result that’s called insanity!” God is doing some awesome things to recharge our church family at Emmanuel Baptist Church in Macclenny Florida! On August 3, 2011 we started a brand new Wednesday night program for the entire family. We wanted it to be Christ honoring and life-giving. We wanted Wednesday Recharge to give the tired weary saints a supernatural shot in the arm. Through specific and fervent prayer, and intentional and strategic ministry planning God is using Wednesday Recharge to accomplish these goals! For our adult recharge we have Bible teaching on a specific topic that relates to most Christians and young people. For our August recharge we are privileged to have my father-in-law Dr. Charles Shoemaker with us. Each Wednesday in August he is teaching on the subject of marriage enrichment. Although his topic is for married couples the principles apply to all relationships. It’s been awesome to say the least. Our youth team was pumped about launching an awesome new Student ministry called “The Resistance!” Their motto is “Following God…resisting the world!” We had the youth building remodeled, repainted, and recharged! The students at EBC love it and are excited about it! We made some cool invite cards too so they can spread the word to their friends. We also launched a new kids program called the Kids Zone! Although we offered something on Wednesday night for our kids we needed to charge it up a little. And that’s exactly what happened! God has blessed us with some great leaders and workers who love children and want to help them know Jesus more in a fun environment. The kids are loving the Kids Zone! God has enormously blessed our new Wednesday Recharge so far! God has recharged our attendance. It’s awesome to see so many new faces on Wednesday night worship. Several young couples came and brought their kids and students. The first night God blessed us with 77 in attendance. The next week we had 78. This past week we had almost 70. We were averaging about 35 on Wednesday nights. Now that God has helped us have something exciting and relevant for the entire family our numbers have increased significantly! We recharged our appearance. We did much more than just decide to offer something on Wednesday night for everyone. Much prayer and planning went into it as well. Besides starting new ministries we also had some cool logos and signs made! My bro-in-law, Dennis Schaffer, who happens to be a pilot and a pastor, also does some graphic designing on the side. He did excellent work designing the logos for the Resistance and the Kids Zone. Along with the awesome logos that were designed we had some sharp directional signs made for both the Resistance youth ministry and the Kids Zone. The signs we hung in the church not only look incredible they make a foundational statement as well: quality is important! We want to communicate a spirit of excellence in all we do. How we take care of our appearance speaks volumes. When our facilities are neat, tidy, and attractive, when our facilities are well maintained it shows how much we care and that we appreciate what God has given us. God has also recharged our spirit. When a church starts something new with the goal of fulfilling their purpose, mission, and vision better than ever before there is much to be excited about! Because of the time and efforts of those on the Maintenance team (Men of Acts), the youth team, and kids team the foundation has been laid for effective ministry for the whole family on Wednesday nights! With all of the activity and excitement one thing is abundantly clear: God is working at Emmanuel Baptist Church! We have life! There is something going on of a spiritual nature. And as a matter of fact there is. God through His Word and His people is getting Emmanuel Baptist Church recharged. How has God recharged you and your family at EBC? Or what has your church done to recharge you and your family through the ministries and services they offer?